Below you can view all the homes for sale in the Eagledale subdivision located in Indianapolis Indiana. Listings in Eagledale are updated daily from data we receive from the Indianapolis multiple listing service. To learn more about any of these homes or to receive custom notifications when a new property is listed for sale in Eagledale, give us a call at 317-942-3115. This is a ton of house for the money. Don't miss this opportunity! MLS#21633697. House to Home Realty Solutions. Nice, layout, good setting with mature trees, in an area that will fit most needs with access to amenities all around. Come see this hidden gem! MLS#21632124. RE/MAX Advanced Realty. 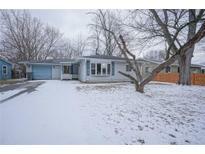 Oversized garage with newer service door, nice deck and fenced rear year for entertaining family and friends. MLS#21633282. Abernathy, REALTORS Inc..
Move in condition. Previously rented at $750/mo. MLS#21633017. Carpenter, REALTORS®. 1-Car Attached Garage. Convenient to schools and shopping. MLS#21630959. Webb Group Real Estate, LLC. Home has replacement siding, windows along with interior updates such as flooring, paint, bathroom, kitchen and doors. New roof is being installed. MLS#21630492. Wynkoop Brokerage Firm, LLC. Well maintained New carpet and paint, great location easy access to track and school in back yard great for young families and Race fans. MLS#21629081. John Harshbarger. This home will be an excellent investment and will not last long. MLS#21628602. Wynkoop Brokerage Firm, LLC. New roof installed in 2017. All appliances are included. MLS#21619421. Advisors Commercial Real Estat. Large living room and eat-in kitchen! Oversized detached garage! MLS#21625438. United Real Estate Indpls. Nice sized backyard perfect for families or entertaining. Freshly painted and move-in ready! MLS#21623543. Keller Williams Indy Metro W.
May qualify for FHA or VA, but must be sold as-is since Seller cannot make any lender required repairs. MLS#21622735. F.C. Tucker Company. The backyard is fully fenced-in and includes a large covered patio to enjoy on those warm Spring days. MLS#21618056. RE/MAX Results. Home comes with one year Home Warranty to give buyer peace of mind. MLS#21616593. Carpenter, REALTORS®. Tons of updates with new paint, newer fixtures, newer flooring, sunny kitchen with lots of cabinetry, subway tile back splash and open dining area, huge master bedroom with large closet, delightful fenced backyard perfect for entertaining, mature shade tree in front and 1-car garage. HOME! ! MLS#21614617. Carpenter, REALTORS®. Location convenient to shopping, interstate and the Indy 500 track! MLS#21614067. RE/MAX Ability Plus. Home in good condition with many recent updates: Fresh Paint throughout, New Vinyl Flooring, New Hot Water Heater, Cleaned Carpets, Cleaned Gutters and Gutter Guards, New Blinds, New Vanity and Sink, and HVAC serviced. Turn key opportunity. MLS#21613849. RE/MAX Advanced Realty. Many of the homes have new roofs, furnaces, ceramic tile in kitchens and bathrooms and other capital improvements. MLS#21612961. Apex Realty. 2421 N Graham Ave, Indianapolis, IN. 46218, MLS#21609525. Keller Williams Indy Metro S.
Excellent location, walkable to Indianapolis Motor Speedway, easy access to I-65 and just minutes to downtown Indy! MLS#21610619. CENTURY 21 Scheetz. 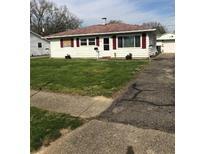 3 Bedroom, 1 level home in need of some TLC. MLS#21610429. Matlock Realty Group. 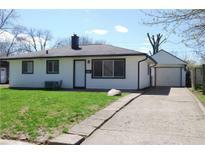 3 Bedrooms, mature trees, really close to Indianapolis Motor Speedway and other parks. MLS#21609335. Carpenter, REALTORS®. Corner visible parking lot for 10+ cars. MLS#21485381. CENTURY 21 Scheetz.